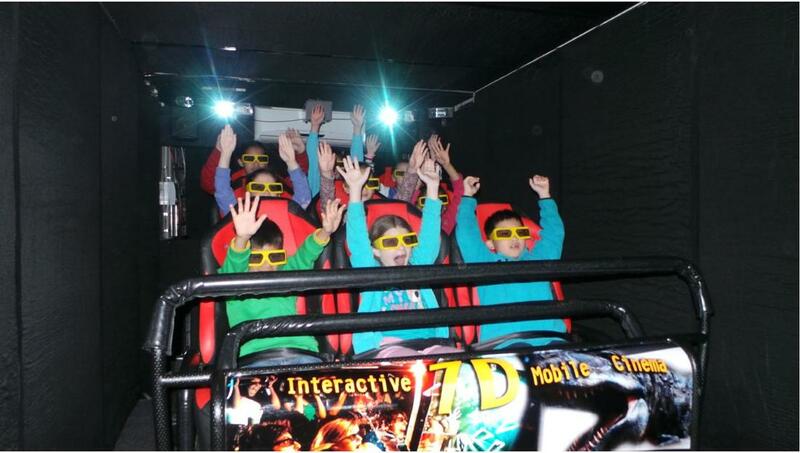 WE HAVE A 7D CINEMA WHICH SEATS 9 KIDS OR ADULTS AT A TIME . THIS IS GREAT FOR SCHOOL FETES OR CHILD CARE CENTRES OR PARTIES. THIS COMES IN A TRUCK AND IS GREAT FOR WET WEATHER TIMES.